Experience the future of your woodworking software. 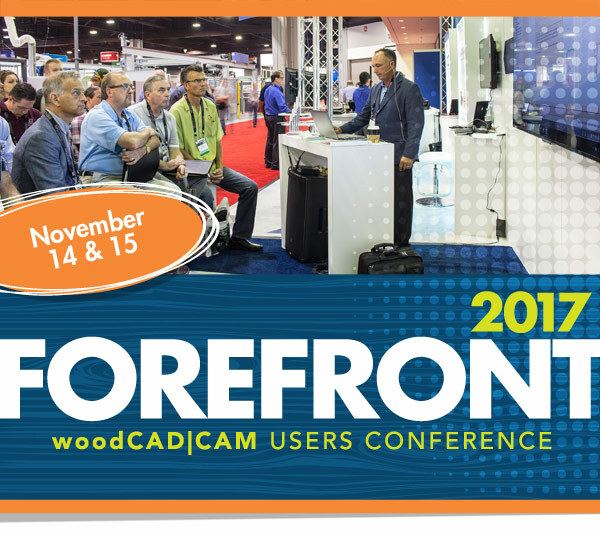 At the Forefront, you will be exposed to the next Release of woodCAD|CAM. This is the time to take inventory of digital efficiencies and build a strategy for the future around new emerging technology. We offer you a rare opportunity to interact with the developers and owners of the software you use every day to run your business. Find out the tips and tricks that fellow users of the software deploy. Give your feedback on new software enhancements. Learn how to conquer the “one-off” projects. And, do all of it amongst a community of fellow pioneers and Texas hospitality. Registration opens Wednesday, September 20 and space is limited. Save the November 14-15 conference dates in your calendar now and don’t miss this incredible experience. We’re bringing the future of woodworking to the forefront.